“Sanctuary in the Streets” Raid Response! 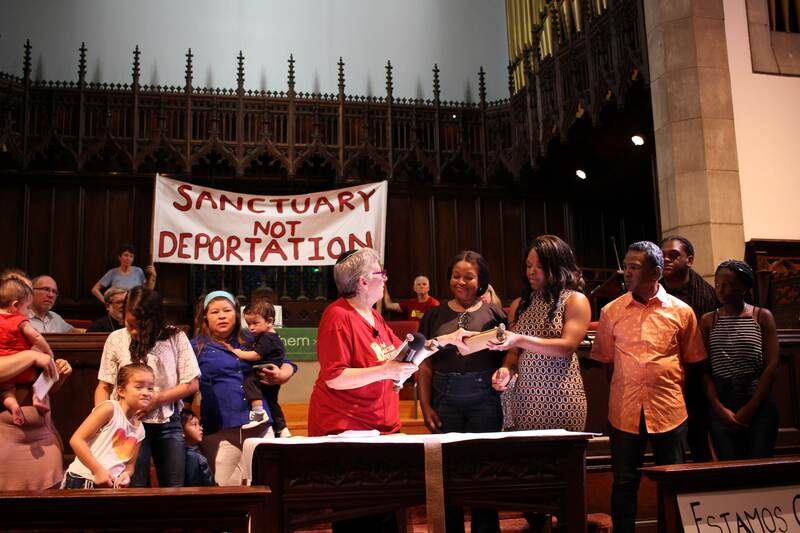 On May 25, New Sanctuary Movement of Philadelphia faith leaders gathered to launch “Sanctuary in the Streets” – direct action to stop Obama’s deportation raids targeting refugee families. To fight back against the Obama Administration’s new round of raids, congregations across the city are building teams of people ready to respond to a raid. 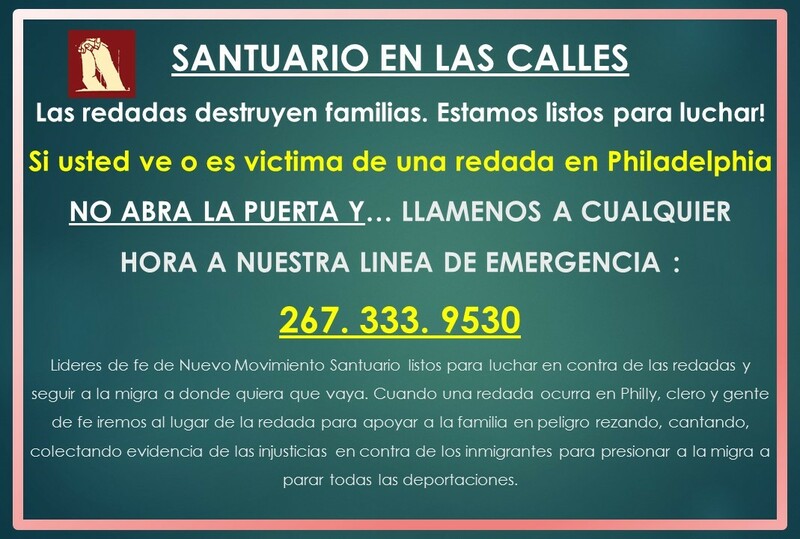 When we get a call that a raid is happening in Philadelphia, we will call the teams to the site of the raid to hold a prayer vigil, film the raid on phone cameras, and be a presence for the family. We have 31 people signed up so far, and the list keeps growing! Victims of a deportation raid can’t leave their home to seek sanctuary in a congregation, so we are bringing the congregation to them. Today we came together as a community to ground ourselves in the power of our faith traditions, commit to Sanctuary in the Streets, to publicly call on ICE to stop the raids and tell them the faith community will be wherever ICE shows up. The mandate to love thy neighbor and welcome the stranger is not just about feelings – it’s a call to action. If you belong to a New Sanctuary member congregation and want to be part of the Sanctuary in the Streets rapid response, please email [email protected]org. Community Fund to Support Families in Deportation Launches!